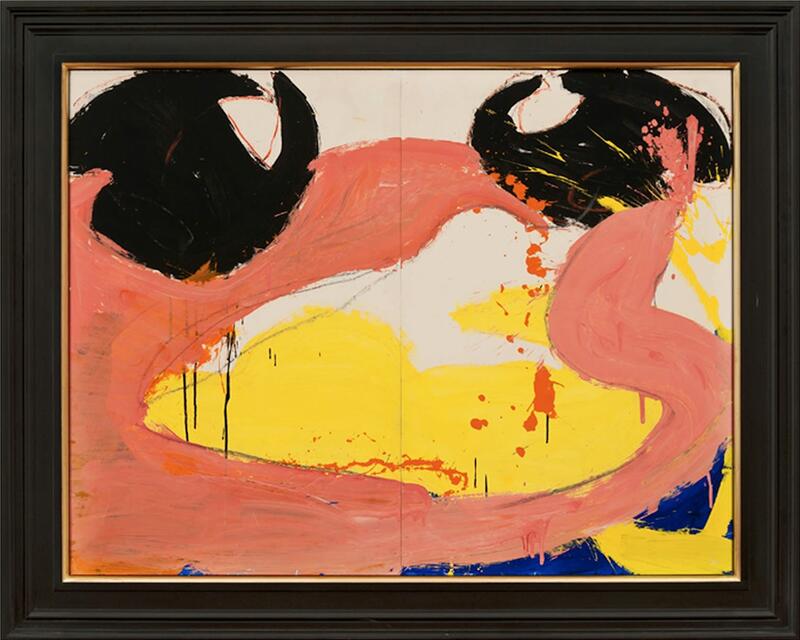 One of the foremost second-generation Abstract Expressionists, Norman Bluhm was born on March 28, 1921 on the South Side of Chicago and graduated with distinction from high school at the age of 16. He became Mies van der Rohe's youngest student at the Armour (now Illinois) Institute of Technology. For the next three years Bluhm was rigorously trained in the Bauhaus approach to modern architecture. He spent long hours at the drafting table, making meticulously detailed architectural drawings. In his free time he learned to fly an airplane and played semi-pro basketball. The exacting discipline of his studies coupled with his knowledge of flying and the intense physical regimen of basketball stood him in good stead as a soldier and later as an artist. During World War II Bluhm served in the United States Air Force as a B-26 bomber pilot and flew 44 missions over North Africa and Europe most notably, the famous mission over Romania that destroyed the last oil supply of the Nazis at the cost of about 75% of American bomber crews. Upon his return home Bluhm decided not to resume his architectural studies and instead decided to study art at the Academia de Belle Arte in Florence, Italy and at both the École des Beaux Arts and at the Académie de la Grande Chaumiére in Paris. Throughout the 1940's and 1950's he lived in Paris. He had numerous friends in the art, literature, and other creative fields. 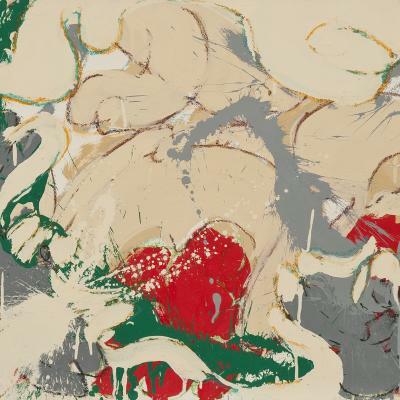 Among his close acquaintances were the artists Joan Mitchell, Sam Francis, Jean Paul Riopelle, and Zao Wou-Ki. He was married to Claude Souvrain until 1956 and returned home to the United States. Shortly thereafter he embarked on a successful career as an Abstract Expressionist Painter. Bluhm came to New York in 1956 (the year Jackson Pollock died) and was a central figure in the second-generation of Abstract Expressionism. He was an integral part of the hard-drinking, hard- charging crowd who frequented the infamous Cedar Tavern, an almost mythical meeting place for New York bohemians. A year after arriving in New York, Bluhm had his first solo show with the new Leo Castelli Gallery, where he appeared with such other notable artists as Robert Rauschenberg and Jasper Johns. In 1961 he married Carolyn Ogle and stayed in New York City until 1969 with their two children, David and Nina. While in New York City Bluhm collaborated with the curator and poet Frank O'Hara to create a legendary collection of works entitled "Poem Paintings." From 1970 to 1980 Bluhm and his family lived in Millbrook, New York. From 1980 to 1987 they lived in East Hampton, New York and thereafter in East Wallingford, Vermont until his death on February 3, 1999. An important figure in the heyday of Abstract Expressionism, Bluhm enjoyed substantial critical success during his lifetime. The Metropolitan Museum of Art, the Whitney Museum of American Art and the Museum of Modern Art are just a few of the museums that hold the work of Bluhm. Bluhm found greater comfort in painting than in any fame he might have achieved or in any time spent theorizing about art. 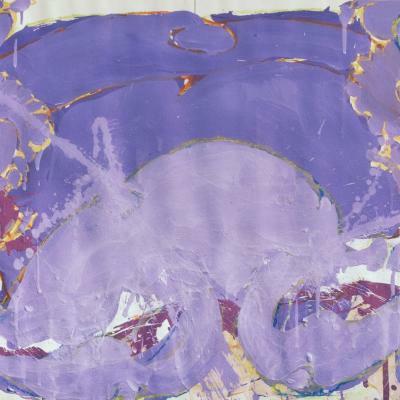 Shortly before Norman Bluhm died at his home in East Wallingford, Vermont on February 3, 1999 "Art in America" Editor Raphael Rubinstein predicted that his body of work would be as important to the 21st Century as Cezanne's work was to the 20th century. Bluhm's work, while recognized and critically praised throughout his career, has never received the measure of appropriate attention that some of the work of his contemporaries like Jackson Pollack, Robert Rauschenberg, and Jasper Johns did. This lack of recognition was due in large part to his unwillingness to cater sufficiently to those in the commercial art world who would have promoted his work in order to ensure a continuing lucrative career as well as a lasting legacy. Bluhm's exact place in the annals of art history was complicated by the changing art tastes in the 1960's with the advent of Pop Art, a movement which Bluhm found utterly lacking both in beauty and in any form of emotion. 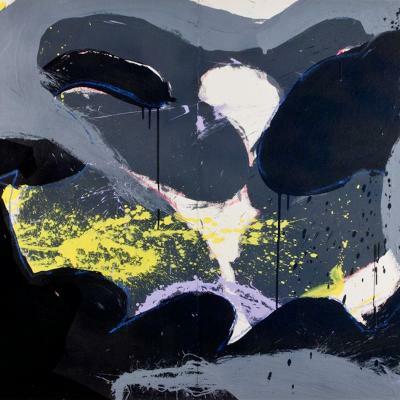 Still and all there is no denying the great talent that Norman Bluhm exhibited in his works many of which are part of the permanent collections of several prominent museums. 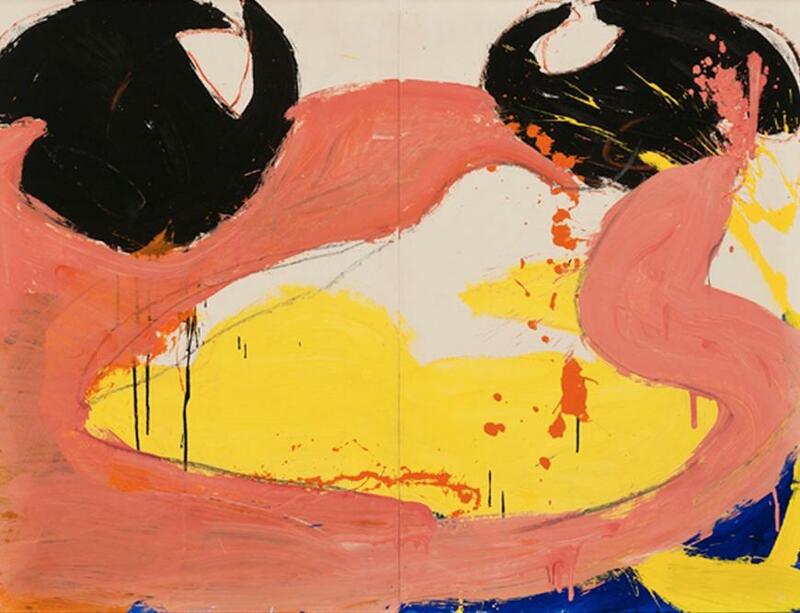 Norman Bluhm was first and foremost an artist: passionate, intense, committed, and maddeningly uncompromising. His unvarnished ambition translated into paintings that are dynamic and at once epic in their originality. In later years Bluhm experimented with a passionately colored palette and a brushstroke that was energized as never before. These later paintings such as Untitled are sensuous, monumental works that are full of life and spirit. Symmetrically constructed, they are filled with sexually charged images delineated in bold brushstrokes of yellows, pinks, salmons, and oranges. These later works are important and may even be classified as "visionary".